After almost drowning at the hands of "Saw-Tooth" Arlong, captain of the nasty Fish-Man pirates, Luffy bounces back with a few tricks up his sleeve. The fate of Coco Village, if not the rest of the East Blue, rests on the outcome of their final battle! 5.0 out of 5 starsIt was amazing!! 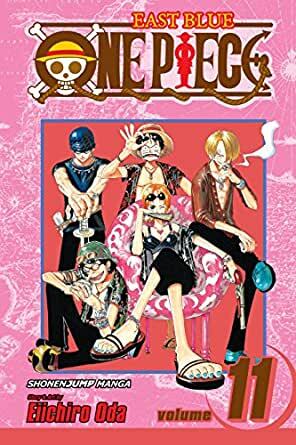 This was another one of Oda's masterpieces! I am 10 years old, and enjoyed this immensely! I highly recommend this to kids of this age or a little older. 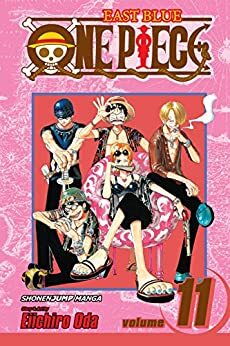 This is a great book to read to your kid if you're a parent reading this review, if you are an interactive teacher than this series would be good for you and your class, if your a kid reading this than go ahead and read the One Piece Series!! There is some brief language but nothing really inappropriate. This is a adventurous story that could make anyone laugh young or old. There are many levels to this story, so even an adult could appreciate that hilarity of the plot line. I highly recommend this book to humans ages 8 through zombie. Have fun and enjoy!! 5.0 out of 5 starsGood price on book.